Posted on June 29, 2016 | 2182 views | Topic : News & Articles, Property News. A file photo of Crag Hotel in 2011 when a Perak-based company had won an award to develop it but the project did not materialise. THEY are the coolest heritage treasures in Penang in terms of temperature, and they may be starting a new chapter of existence soon. 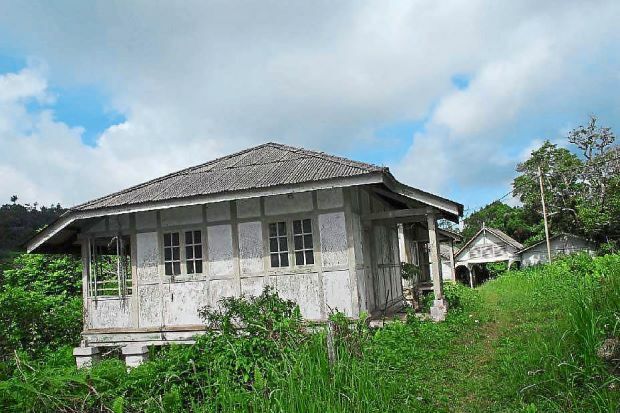 Crag Hotel and the surrounding colonial bungalows — Richmond, Edgcumbe, Lomonds and Ban Hin Lee — are given a special place in the Penang Hill Special Area Plan (SAP) to be gazetted on Aug 1. The plan specifies that the 9ha of breezy hilltops where these bungalows are, will be an area of “low density boutique hotels and villas of exceptionally high quality”. According the SAP’s draft, only an estimated 50 ultra-posh rooms can be built here, 830m above sea level, with a maximum development area of just 25% of the zoned land to preserve the hill’s lushness. “The SAP envisions the adaptive reuse of Crag Hotel to restore it to its former glory as a therapeutic centre and spa; a convalescent retreat,” explains the document. These bungalows were built around the late 1800s. State Town and Country Planning Committee chairman Jagdeep Singh Deo announced in a press conference on Monday, that the state exco had agreed to gazette this SAP on Aug 1. “This is the master plan for the hill to propel it further as a unique tourism destination, while protecting the hill’s natural landscape and cultural heritage,” he said, adding that the plan’s preparation had involved the participation of the hill’s residents and various stakeholders. The Local Examination and Public Hearing Committee had listened to 20 parties — 12 individuals and eight organisations — in 2014, who had presented their views, objections and suggestions, and Jagdeep said these were also taken into consideration. The SAP, however, made no reference to a previously proposed cable car connection from Penang Hill to Teluk Bahang with a possible station in Penang City Park. It identified the funicular railway as being the main access from George Town, and only a cable car system that can function as a public transport mode will be supported. Tourism and Culture Minister Datuk Seri Mohamed Nazri Abdul Aziz had voiced his support for the cable car proposal when it was announced in May 2015. Chief Minister Lim Guan Eng, who was at the conference with Jagdeep, said the proposal was awaiting Federal funding. “It requires Federal support. We have not received any response from the Federal Government so far,” he said. It was previously reported that the cost would be between RM200mil and RM250mil. A total of 36 heritage buildings atop the hill are recognised in the SAP, and the only permissible activities in these buildings are residential, F&B outlets and tourist accommodations including boutique hotels, bed-and-breakfast setups, hostels and homestays. Only low-density buildings are permitted throughout the hill, although in a valley near the peak called Coolie Line, buildings of up to three-storeys are allowed. A Perak-based company had won an award to develop Crag Hotel in 2011 but the project did not materialise. The company’s management could not be reached for comment.